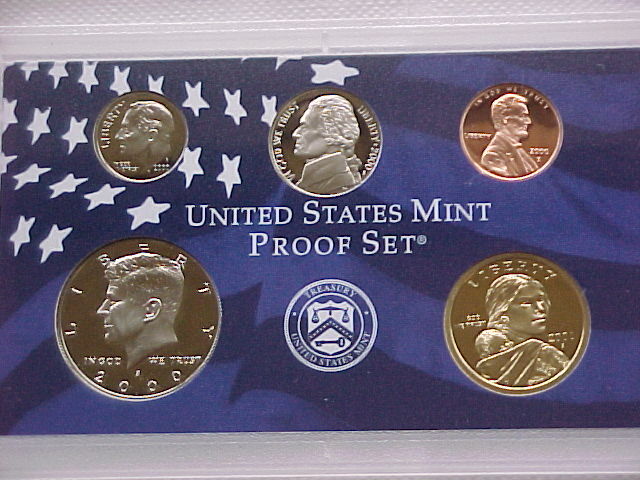 In the 2000 Clad proof set you will receive the Penny, Nickel, Dime, Half Dollar, Sacagawea Dollar, and the 5 statehood quarters. 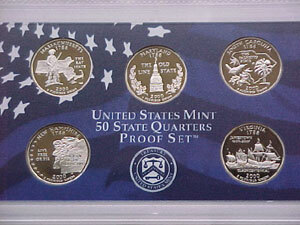 All the coins bear the S (San Fransisco) mint mark. Set Set comes in the original box with the COA.